Bring a covered dish & dessert and come enjoy the fellowship. Devotion, singing, activities, and Bingo! 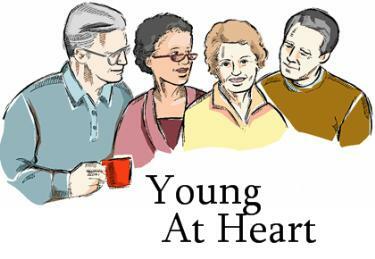 Young at Heart meets on Tuesday after the second Sunday of each month at 10:00 am at the church. Bring a covered dish and come enjoy the fun and fellowship.